Do friends compare you to unicorns often? We're not saying there's a spiral horn darting from your forehead and a pastel-colored mane to compliment it (but if you do, more power to you!). If others frequently relate you to a unicorn, chances are you're a gregarious social-butterfly who has a devoted group of BFF's. This is a prized characteristic and congrats by the way and it's about time you start putting the innate trait on full display and no, we aren't suggesting wearing a crown headband and a cotton candy wig. (Although, if you want too, we can supply you with those.) However, if you rather go the more subtle route, these unicorn pins are perfect. Casually wear them on a t-shirt, a jean jacket or a backpack and advertise them proudly. This unicorn pin pair has a soft, flexible pin backing for comfortable and durable wear. They are painted with a whimsical color scheme, featuring purples, pinks, and blues. 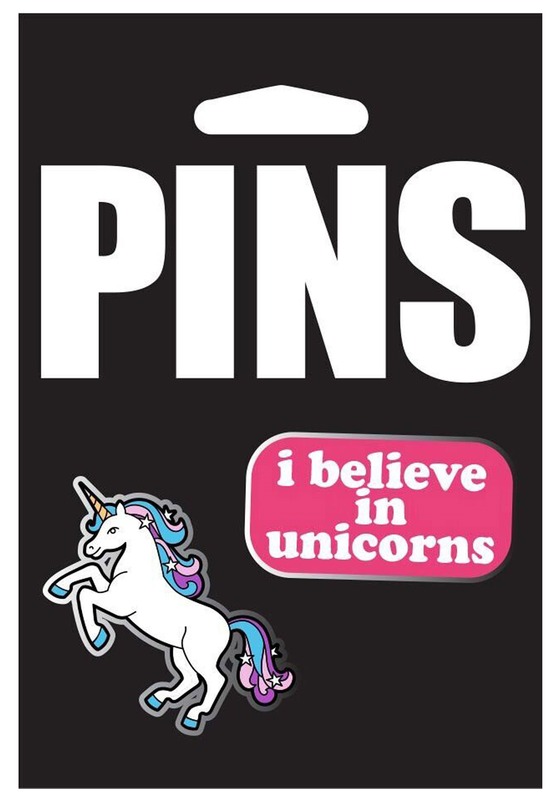 Maximize your magicalness by pinning these to a unicorn costume!